Buzzword or not, artificial intelligence (AI) is shaping up to make a difference in the business communications space. With many solutions already available, the benefits are becoming more and more clear: efficient customer service, higher-quality collaboration, well-organized meetings, and more. AI is an exciting prospect, but many companies are still in the dark on how exactly to implement it into their work environments. For example, a small business could utilize chatbots but may not have the need for an extensive AI voice customer service solution. On the other hand, larger companies with contact centers have endless opportunities to enhance communications with AI solutions. Understanding how exactly AI fits into your contact center isn’t easy. It takes plenty of evaluation and planning. And each solution needs to be unique to your business. To help you better understand how AI can improve your contact center, I’ll walk you through a solution I’m currently working on with a client. A financial compliance monitoring firm for retailers needed a solution for its rapidly growing customer base. The firm recently started providing financial services to larger-sized customers. The more services it completes, the more its customer service reps become overwhelmed with calls. Many of the calls regard quick fixes that don’t require speaking to someone directly. Yet, these calls end up taking time away from larger issues that the reps need to address. To help manage rising call volume, the firm needed a solution that would enable it to record a message from each caller and gather details pertaining to the financial transaction and the reason for the call. The objective was clear: The firm needed the ability to guide customers with an advanced interactive voice response (IVR) system. The IVR system would ask users prompted questions, track their responses, and record the interactions, which are then transcribed for review purposes. The goal of the suggested solution will be to capture caller responses via a survey conducted following the interaction but before the customer hangs up. The firm would store information collected in a Web portal for the customer service team to access. As the organization needed a reliable, customized solution, AI was the perfect opportunity. AI is advancing fast in the business communications space. Efficiently automating inbound calls so that users get satisfactory results while the company ensures it is correctly sorting and addressing them isn’t a simple task -- but the latest advances in AI make it possible, if you have the right solution. In our client’s case, we looked at IBM Voice Agent with Watson, which connects existing call centers to AI capabilities. This voice agent solution uses AI to help answer a larger quantity of customer calls faster -- the exact need of our client and any growing business. Unlike most automated call answering, Watson uses natural language to provide self-service, which offers the feeling of talking to a live person. Organizations are able to configure the AI voice solution to match their branding and add custom vocal cues. If your organization doesn’t have the appropriate data to set up custom answering, IBM is planning to offer industry-specific training models to help get the assistant up and running. 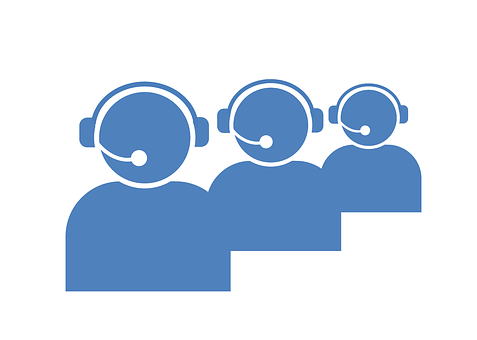 To configure IBM’s voice agent to maximize its customer service management, I suggested that the client sit down with an IBM sales engineer to build a call pattern and intended call flows. What this would do is create qualifiers for specific words, such as “call fraud,” and identify inquiries for direct emailing to a technician. By establishing a preferred call flow, the client wouldn’t have to hire additional employees to ask basic help line questions, saving the firm money while simultaneously recording the information on file for a live person. This way the techs would only receive important files that require their attention. Best of all, the reports would be automated, and technicians could search within the AI’s recorded database to find key claims. Ultimately, automation through AI stands to save big money and human effort for contact centers. While cost and implementation efforts may vary from company to company, other options are available for interested parties to explore, such as smart IVR and smart ACD with AI, too.